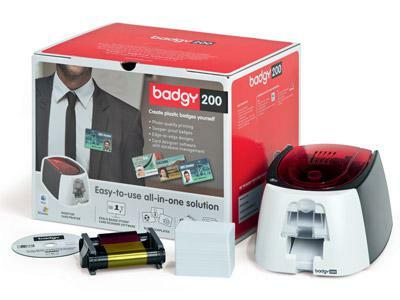 The Badgy solution comes with all the consumables you need to start printing your plastic cards. The ribbon cartridge can be installed in the printer in a flash. 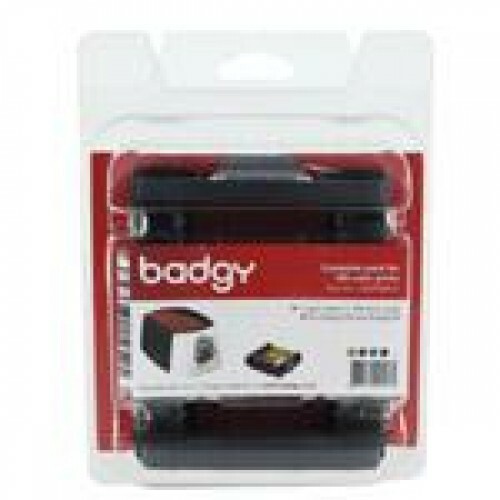 Badgy detects the ribbon and configures itself automatically. You get blank white cards and a color printer ribbon. 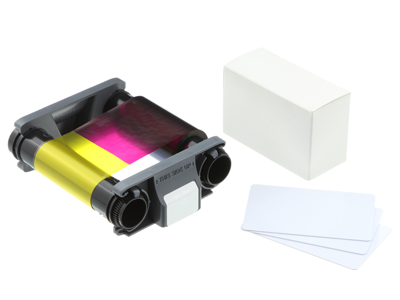 Our range of consumables includes thin and thick cards for your different requirements, as well as monochrome ribbons for black and white printing. Download the template that's right for you and personalize it as you wish! 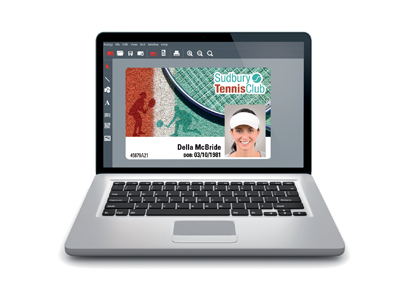 The Evolis Badge Studio software has been designed to be as easy to use as possible, whatever your level of expertise. No training is required, you simply follow the steps! 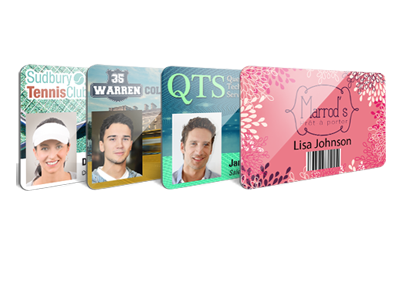 With the Plus version, supplied with the Badgy200 solution, the software allows you to import Excel databases so you can personalize and print your badges in small print runs. 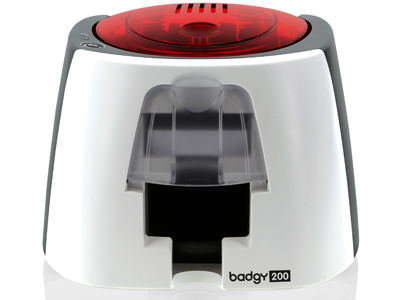 The Badgy100* printer is ideally suited to your single printing needs and is perfect for limited budgets. 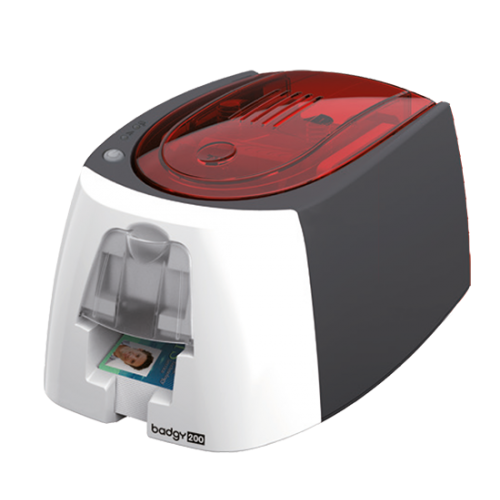 What is more, its printing speed means that you can create a PERSONALIZED CARD in less than a minute. 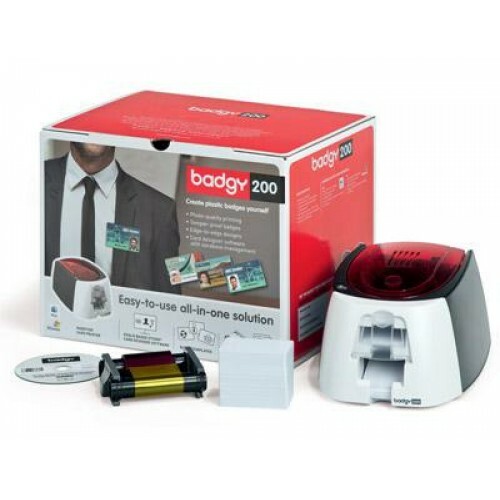 With Badgy100, you have everything you need to instantly print professional quality badges yourself.